Statistics help us create Internet technologies, develop medicines, win elections, invest in stocks, predict the weather, and much more. But the methods that produce important numbers remain beyond many of us. How do we determine the proper size of a sample? How, exactly, do we calculate standard deviation? And just what is the central limit theorem? 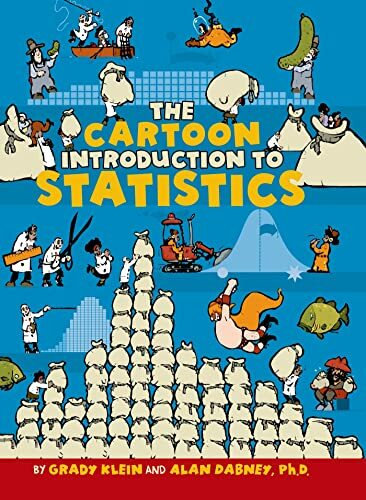 In The Cartoon Introduction to Statistics, Grady Klein and Alan Dabney cut through the confusion and take us on a tour of this dynamic subject, helping us stay afloat on the sea of data that is our increasingly complex world. Separating the book into two main parts (hunting statistics and gathering parameters) for readers both in and outside the classroom, they explore the key foundational concepts of statistics and the perils of improper methods. They round out the book with the "Math Cave," which provides easy access to the formulas every student will want to have close at hand. Through cheeky and irreverent examples bound to engage anyone grappling with the difference between histograms and boxplots, Klein and Dabney have created a rollicking narrative about the best ways to make confident statements based on limited information. 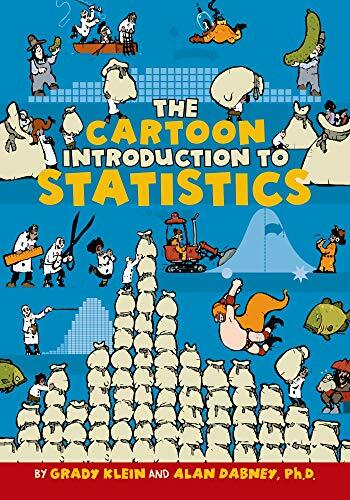 Timely, authoritative, and a pleasure to read, The Cartoon Introduction to Statistics is an essential guide for students and for curious readers who want to better understand the world around them.